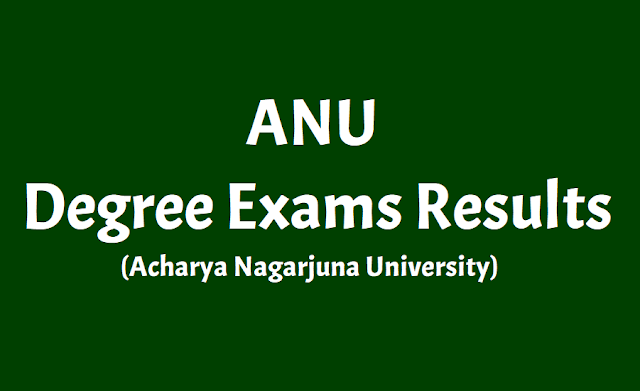 ANU UG Degree Result 2018: 1st, 3rd and 5th semester results declared @ nagarjunauniversity.ac.in. Acharya Nagarjuna University (ANU) has declared the results of undergraduate (UG) courses for semesters first, third and fifth on its official website, the link for which is nagarjunauniversity.ac.in. According to reports, a large number of candidates had appeared for the semester examination at various test centres across the region. The examination was held in the month of October. Acharya Nagarjuna University (ANU) has announced the results for undergraduate degree courses for semesters first, third and fifth. All the students who had appeared for the examinations can check the results through the official website, nagarjunauniversity.ac.in. Thousands of candidates had appeared for the examinations that were conducted in October. Acharya Nagarjuna University: The University has over 450 affiliated colleges which offer various under-graduate, post-graduate, and various other courses like Engineering, Law. The university also offers 47 various post-graduation courses.